We really like all three Ladbrokes brands. Bookmaker.com.au was the start of it all! At Aussiebet, we endeavour to give you all the information you need about all of Australia’s leading bookies. If you are here, you are probably considering opening an account with Bookmaker.com.au. Well, you are in the right place as you will find everything you need to know in our extensive and impartial Bookmaker.com.au review. Whether you bet on horse racing, sports or politics you can do so with Bookmaker.com.au, and they even have a dedicated section for novelty betting! To find out more about Bookmaker.com.au read our in depth review below. Excellent range and depth of markets for sports and horse racing. Good variety of banking facilities. Odds could be more generous for sports. One of the newer betting agencies in Australia, Bookmaker.com.au was founded in February 2012. Originally licenced in the Norfolk Islands, since 2016 Bookmaker.com.au has been licenced in the Northern Territory. Their head office is in Brisbane and Bookmaker.com.au were acquired by global giant Ladbrokes in September 2016. As a result, odds can be similar with both betting companies. To be frank, not similar, but identical! You can bet on a wide range of sports with Bookmaker.com.au and they are official partners of the NRL, AFL, Cricket Australia and Australia Rugby. Betting on horse racing is also available, and the range and depth of betting markets is impressive. You can also bet on politics, and if novelty bets are your thing then Bookmaker.com.au have a dedicated section just for you! 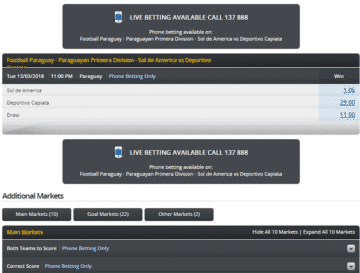 Unfortunately, due to the Interactive Gambling Act online live betting is outlawed, but you can check the odds on site and place an in running bet by picking up the phone. IMPORTANT: Residents of NSW are not supposed to have access to this content. Should you employ VPNs or other types of IP cloaking software to bypass our IP filters, you do so at your own responsibility. The chief method used by betting agencies to attract new members is the promise of a sign-up bonus. Most bookies follow this formula, and Bookmaker.com.au are no different. They try to lure customers in by offering a tasty sign-up bonus bet of $75 to new customers. Use the promo code AUS75 and Bookmaker.com.au will give you $75 in bonus bets when you deposit $25! Offer excludes customers resident in VIC, NSW, WA and SA. To find out exactly how to claim your Bookmaker.com.au sign up bonus check out our guide below. Open a Bookmaker.com.au account by clicking here. Make a first deposit of $25 and Bookmaker.com.au will credit your account with $75 it in the form of a bonus bet. Your account will instantly be credited with a bonus bet. You can use your bonus bet on racing or any other qualifying sporting event. Bonus bet can be broken down into separate portions where applicable. Value of bonus and winnings must be turned over at least once before winnings can be withdrawn. * Other terms and conditions apply see Bookmaker.com.au site for details. Encouraging new members to join is just half the battle for bookies. Getting them to stay loyal is another thing altogether, and Bookmaker.com.au try to achieve this by running regular promotions for existing customers. These promotions are available for sports and horse racing, and some of them are innovative and very rewarding. Whether it's the A-League or the EPL that's trending, Bookmaker.com.au tries to keep up with the latest events. The offers are usually targeting an attractive match or a selection of matches. However, Bookmaker goes beyond just promotions that put the customer behind the wheel. There are some that just ask for the customer to nominate a player to score, and if that happens, bonus bets are up for grabs. This is just a snapshot of what once was available at Bookmaker. If you join, if you register, and visit the promotions page, you will see all currently available promotions. As we outlined earlier, The Interactive Gambling act makes it illegal to offer in play or live betting online. However, most Aussie betting agencies display live odds on their sites, and Bookmaker.com.au do exactly that. All you have to do is pick up the phone and dial 137 888 to place your in play bets. Find out how to get Live Betting with Bookmaker.com.au via our guide below. 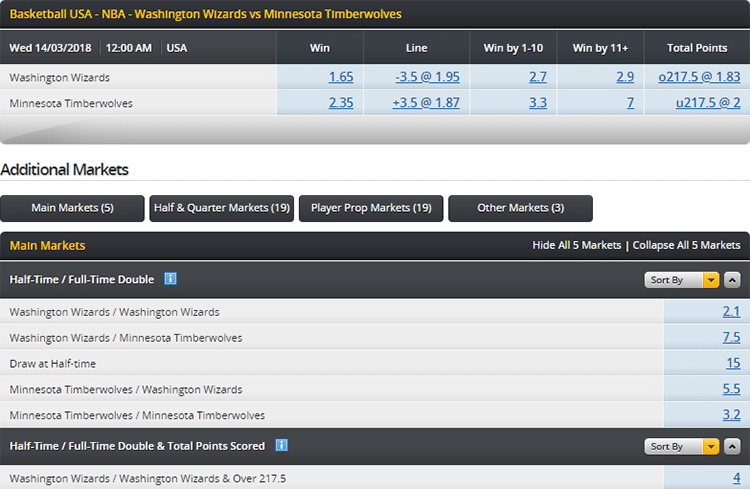 Click on the ‘Live Betting’ button on the top menu bar side. Find your odds and call 137 888. Lots of Aussie betting companies now offer live streaming of certain horse racing and sporting events. Unfortunately, Bookmaker.com.au do not offer live streaming at the time of writing. Here at Aussiebet we regularly update our bookie reviews, so if Bookmaker.com.au do start offering live streaming you will find out about it here first. 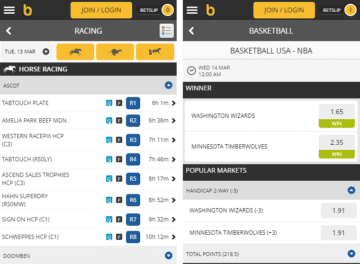 Betting on the move is growing in popularity in Australia and Bookmaker.com.au allow punters to do just that via their Mobile and Web Apps. You can access all the latest horse racing, sports and novelty markets on your device, as well as checking out the latest live betting odds. The App is well designed, works smoothly and odds are regularly refreshed. No matter what device you use, you can bet on the go with Bookmaker.com.au. Apple iPhone/iPad/iPod Touch users can download the Bookmaker.com.au App via the App Store. IOS 8.0 is required and age restrictions apply. The Android App can be downloaded direct from the Bookmaker.com.au site, just visit on your device and click the link. If you use another type of device, don’t despair. If you have a Windows Phone, Nokia or Blackberry you can still bet on the go by using the Bookmaker.com.au Web App. Simply visit the Bookmaker.com.au web app on your device and start betting! How Good Are Bookmaker.com.au Odds? As Bookmaker.com.au is owned by Ladbrokes, their odds are usually very similar. In comparison to a lot of their industry rivals, Bookmaker.com.au take no chances on the generosity of the odds they offer. However, they do offer an impressive range of markets, especially for soccer and AFL matches. One of the quickest ways to see how good the odds are is to check the margins by working out the over rounds. As an example, we looked at the odds on offer from Bookmaker.com.au and CrownBet for the recent Premier League showdown between Man Utd and Liverpool. Bookmaker.com.au had an over round of 107.61, while for Crownbet it was lower at 105.98%. Not a huge difference, but over time it all adds up. However, while they may come second best on odds, when it comes to the amount of markets available Bookmaker.com.au is well on top. CrownBet have a total of 125 extra markets, while Bookmaker.com.au have 148. So, if you want a wide range of betting options on sport, Bookmaker.com.au could be the right betting agency for you. A lot of Aussie bookies now offer punters an opportunity to cash out bets early. Unfortunately, at this present time Bookmaker.com.au do not have a cash out option available. Hopefully they rectify this soon, and if they do we will update our review straight away. Being able to cash out a bet early can be very handy, and it has to be viewed as a negative that you cannot cash out early with Bookmaker.com.au. When it comes to betting on horse racing Bookmaker.com.au is an industry leader. Whether you just bet on the big days, like for example on The Melbourne Cup, or if you like to have a flutter on the horses every day, then Bookmaker.com.au could be the betting agency for you. You can do all the usual bets like win/place/each way and all the usual exotics (exactas, trifectas, quinellas, first four, etc). The early fixed odds on offer from Bookmaker.com.au are generous too. We compared their early prices to those on offer from Crownbet for a recent race at Sandown Park. While Bookmaker.com.au had an over round of 107.44% for that contest, Crownbet had an over round of 109.95%. That is a massive difference of over 2.5% and in the long run you would really see a difference in your returns. If you do manage to find an elusive winner, Bookmaker.com.au will pay you out at either Tote price or SP, whichever odds are bigger. Check out some of the regular specials run by Bookmaker.com.au for racing punters below. Instant Deposit Methods: Credit Card, Bookmaker Card, PayPal, POLi, CASH IN, Flexepin. Non-Instant Deposit Methods: BPAY, Bank Transfer. Withdrawal Methods: Bank EFT (2-3 days), PayPal (48 hours), Bookmaker Card (instant). Another crucial factor that should always be closely considered when deciding whether to open an account with a betting agency is banking facilities. There isn’t much point in opening an account if you can’t deposit or withdraw cash, and Bookmaker.com.au have lots of banking options. Best of all, they have introduced their Bookmaker Card. This card can be used to instantly access your winnings but before you make a withdrawal you need to verify your Bookmaker.com.au account. Find out how to verify your Bookmaker.com.au account below. Open your account with Bookmaker.com.au by clicking here. com.au will first try to verify your account electronically. You will be notified if that fails, and if it does then follow the steps below. Click on the ‘My Account’ menu at the top of the home page. Upload the details of your passport/driving licence/Medicare. Click on verify and if your details check out withdrawals will be activated. Max pay-out of $10k on novelty markets (politics, entertainment etc.). *Other win/bet limits may apply please check Bookmaker.com.au Terms and Conditions. Providing quality customer service is a must for any business that wants to be taken seriously. Here at Aussiebet we were very impressed by the range of ways through you can get in touch with Bookmaker.com.au. The phone lines are manned 7 days a week from 8am-11pm (QLD time). You can also get in touch via email or post, and full contact details for Bookmaker.com.au are listed below. Telephone: 1300 123 888 (Australia) or + 61 7 3350 0777 (International) (8am-11pm QLD time). Email: Via ‘Contact Us’ section of website. (48 hours response time). Post: 461-473 Lutwyche Road, Lutwyche, QLD, 4030. Is Bookmaker.com.au A Bookie You Can Trust? One of the downsides of opening an account with a bookie is the fact that you have to part with a lot of very sensitive personal information. You need to know that your info is stored safely, and you can rest easy if you open an account with Bookmaker.com.au. They have a number of processes and procedures in place to ensure that your information doesn’t fall into the wrong hands. Below are some of the key safety measures employed by Bookmaker.com.au. Transmissions sent to or from Bookmaker.com.au are routinely monitored for quality control and systems administration. Databases and firewalls to keep personal information secure from misuse, loss or unauthorized use. Use of the latest SSL technology with 2048-bit encryption. Another area we place huge importance on when reviewing a bookie is their approach towards the promotion of responsible gambling. Sometimes gambling can creep up on you, and if you think you might be losing more than you can afford, then stop! Bookmaker.com.au have a number of resources and tools in place to aid those who think they may have an issue with their gambling. 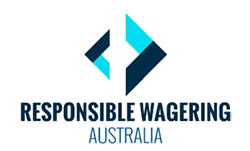 Below we list some of the measures that Bookmaker.com.au have put in place to promote responsible gambling. Pre-Commitment Limits: Set daily, weekly or monthly deposit limits on your account. Loss Limits: Set daily, weekly or monthly limits on the amount you can lose. Self-Exclusion: Temporary or permanent self-exclusion available. Links to and contact details for relevant gambling help services. Highly trained staff who can spot and help problem gamblers. Bookmaker.com.au: The Name Says it All! So, overall we think that Bookmaker.com.au have an awful lot going for them. There are just a few negatives and these include the lack of live streaming and a cash out option, as well as less than generous odds for sports in comparison to some of their industry rivals. However, good early fixed odds for horse racing and an admirable approach to responsible gambling are all positives. The range and depth of markets is impressive and their mobile/web app works like a dream. If you are thinking of opening an account with Bookmaker.com.au then we couldn’t put you off! Does Bookmaker.com.au have mobile betting and mobile apps? Bookmaker.com.au gives you the opportunity to bet on the go with its mobile betting apps on both iOS and Android devices. Can I Cash Out with Bookmaker.com.au? 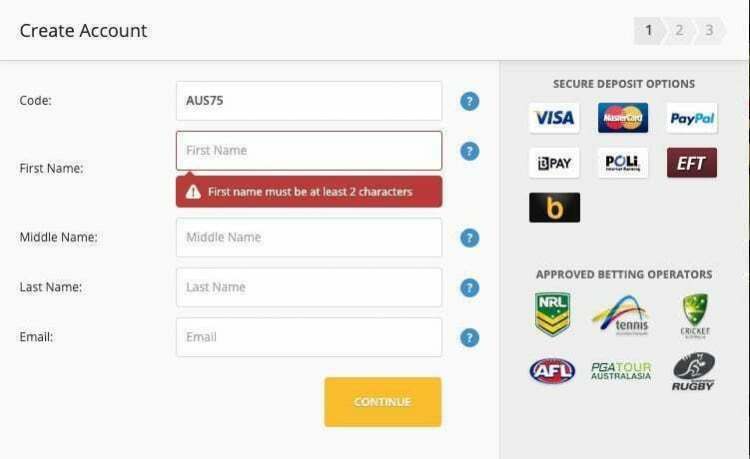 One of the payment methods listed for depositing and withdrawing at Bookmaker.com.au is PayPal so you can rest assured that your transactions with them are speedy and secure. Be confident you do proper research ahead of you area your wager. Analyse the earlier video games of the groups you want to bet on to determine out whether or not it is worthy of it or not. Consider steering clear of betting with no pondering. What is the lowest accepted rating? Sorry Guys, but the new NSW regulation is preventing us from showing you any betting promotions, so we have to stop you here, since you can't participate anyway. What we can do is recommend our favorite bookies, based on their products.